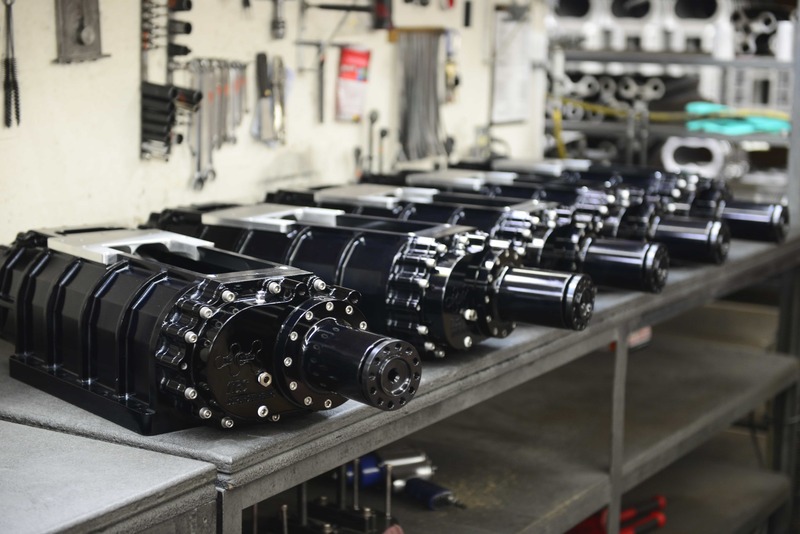 Our XR-1 Race Blowers were born out of necessity for a purpose built race-only supercharger and have been developed over more than 30 years in the blower business. We found that even an enhanced version of the roots style supercharger had room for improvement in the high pressure and demanding world of blown fuel Drag Racing. Working in conjunction with several racers who were able to provide us with years of knowledge and experience we have come up with a design that is stronger, more efficient and offers better repeatability. 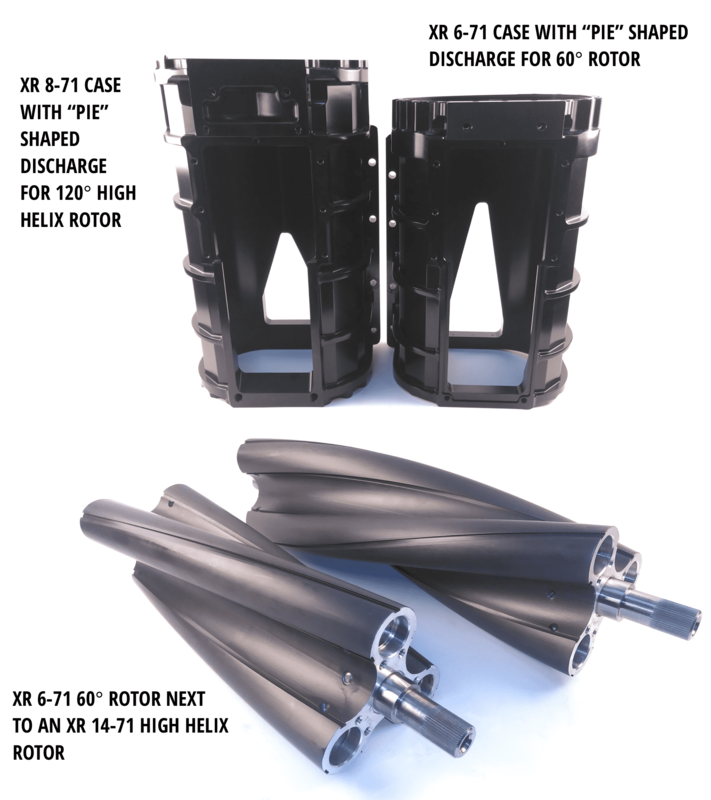 The XR-1 series is available in 6-71, 8-71 and 14-71 sizes. BAD and BLACK (hard anodized) for a serious and stealthy look. The XR-1 blower has all the modern features of today’s current race blowers. 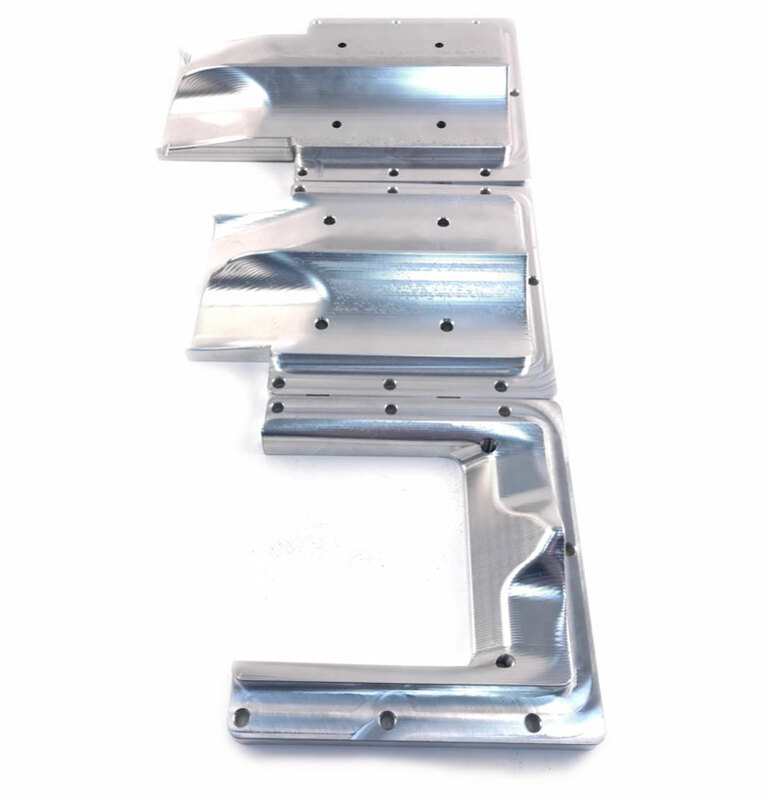 The cases are machined on top for insertable inlet plates, allowing a race team to adjust the opening for different track conditions, overdrive applications, or classes where overdrive restrictions may play a part in the engine combination. The case has cooling nozzle provisions in the rear and comes with a standard 11" x 4.50" top opening which is optimal for higher overdrive classes. 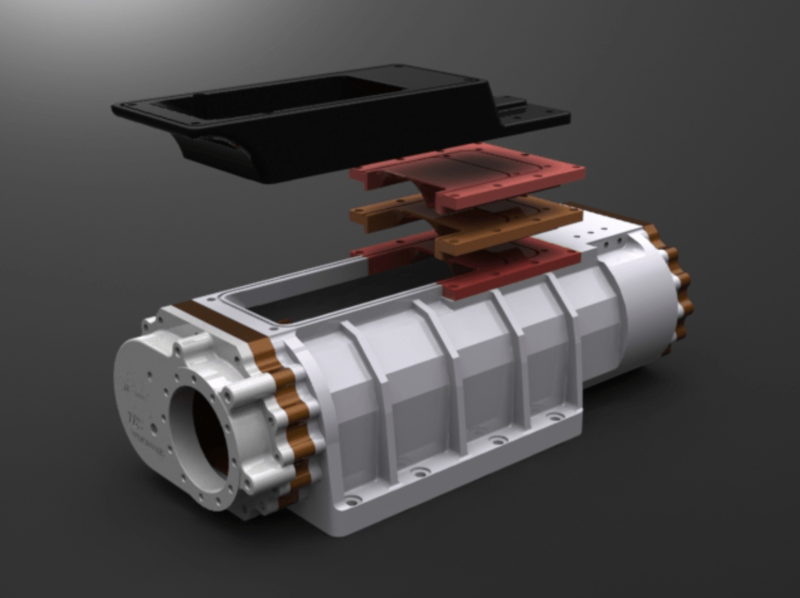 The case design will accept any injector with a 13.250" or 15.250" bolt center. 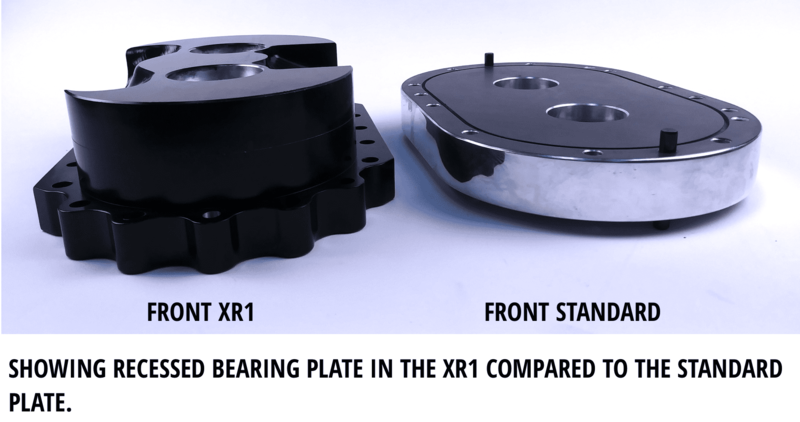 The billet front and rear bearing plates are recessed into the bore of the case, eliminating the need for dowel pins to line up the plates on reassembly. This in turn translates to years of service and re-stripping without the concern of wallowed out pins. The Billet bearing plates incorporate Teflon stripping to further aid in sealing. This results in a constant positive pressure to the intake and less “leak back” of boost into the supercharger. 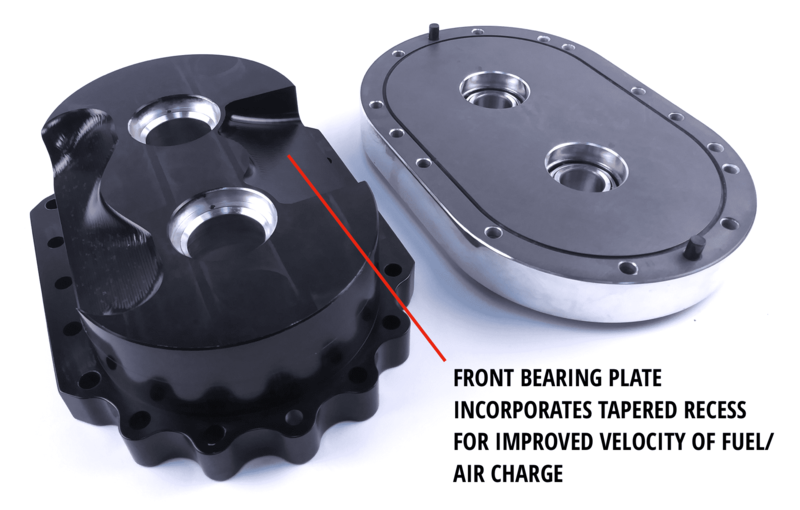 Double lip Teflon seals are used to keep the oil in the snout and gear case while utilizing precision high speed bearings front and rear. 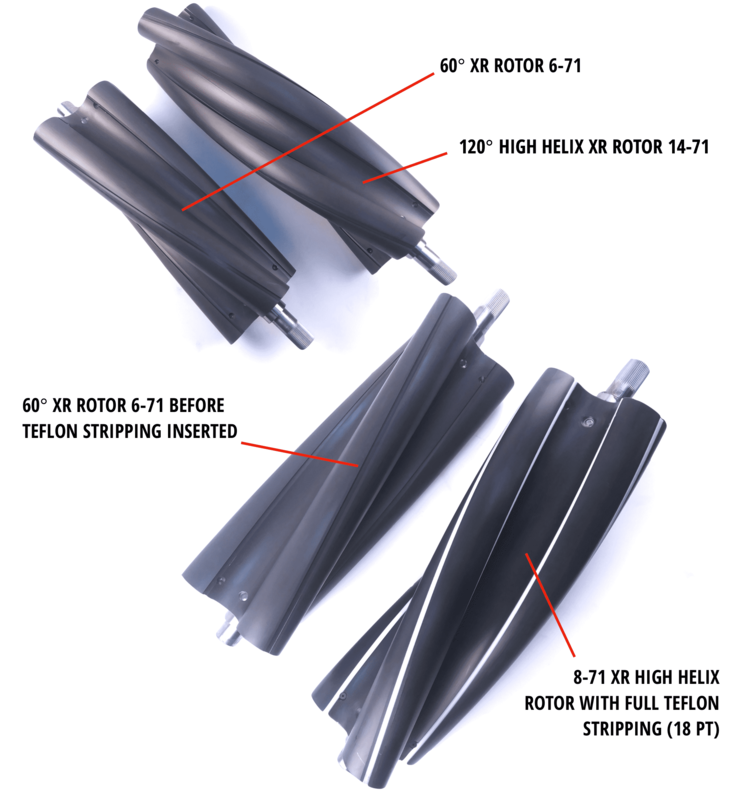 Our Billet Rotors are manufactured in-house and feature a “High-Helix” proprietary rotor profile with 120 degrees of twist. This allows for less parasitic loss and higher efficiency throughout the RPM range. Lightened, dynamically balanced and fully stripped with Teflon, results with the end user receiving the best rotors on the market today. Additionally our gears and shafts are precision ground and utilize heat treated steel for very heavy use over a long period of time. The XR-1's come only one way... BAD and BLACK (hard anodized) for a serious and stealthy look. 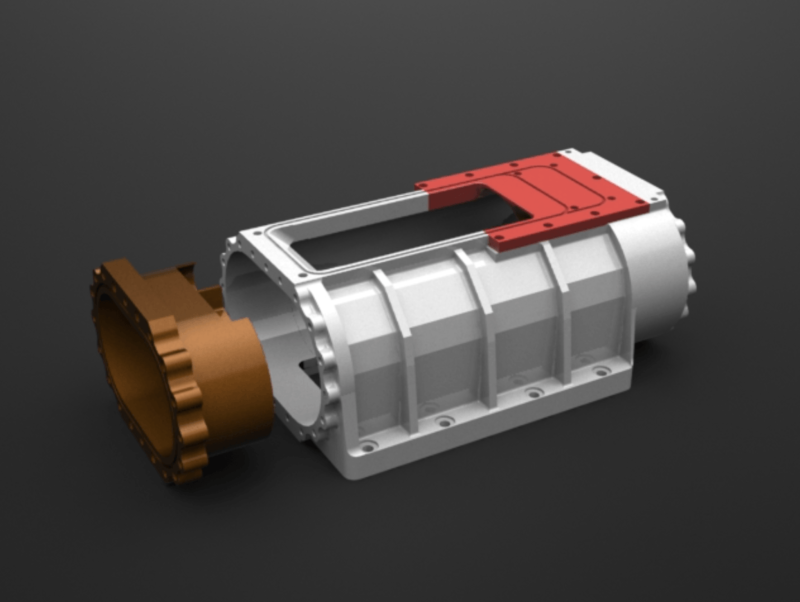 The front cover is designed to use the standard DMPE, Fowler, and SSI style blower belt guard mounting patterns. The TBS XR-1 Blower has been dyno tested and track proven, capable of boost levels in excess of 60 psi reliably with little maintenance. The XR-1 is currently used on several well known race applications to include EKR’s World Record Holding Top Fuel Hydro "Problem Child". Designed, tested and manufactured in the USA, our TBS Race Inserts offer many advantages when used with our XR-1 Series of Race Blowers. The insert sits on top of the blower and reduces the amount of inlet area below the injector hat. 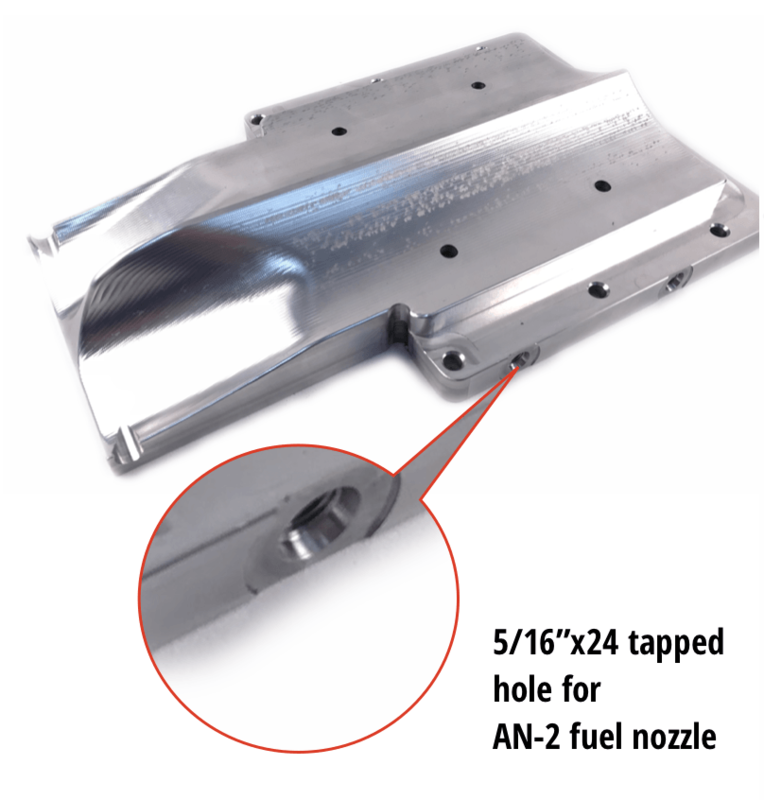 Fully CNC machined from 6061 Aluminum, they are available in 13 different sizes and most are drilled and tapped (5/16” x 24) for additional fuel nozzles. The big advantages of using a TBS Race Insert is they provide more velocity to the fuel/air charge and afford you the ability to match the fuel curve to the boost curve, allowing the two to be “linear” in their relationship to each other.